It is wet windy and cold here at the moment with a ‘weather event’ looming – according to the weather forecasters. Nice weather for being inside drinking coffee, making winter comfort food and well procrastinating which seems to loom large for me in recent times. 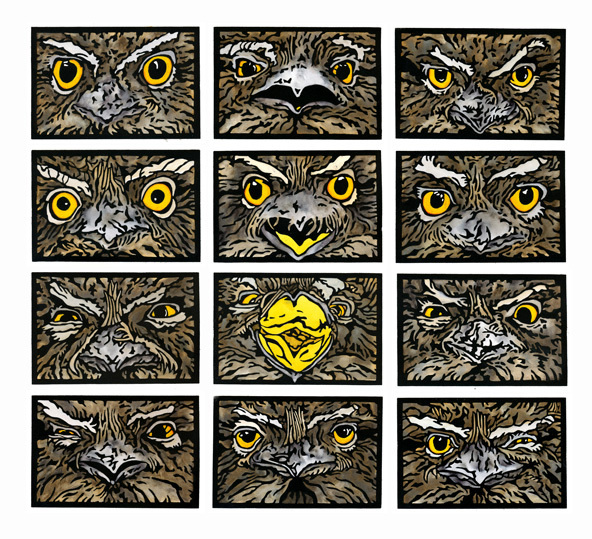 I have however managed to complete one set of colour drafts of the set of 12 tawny expressions linocuts. 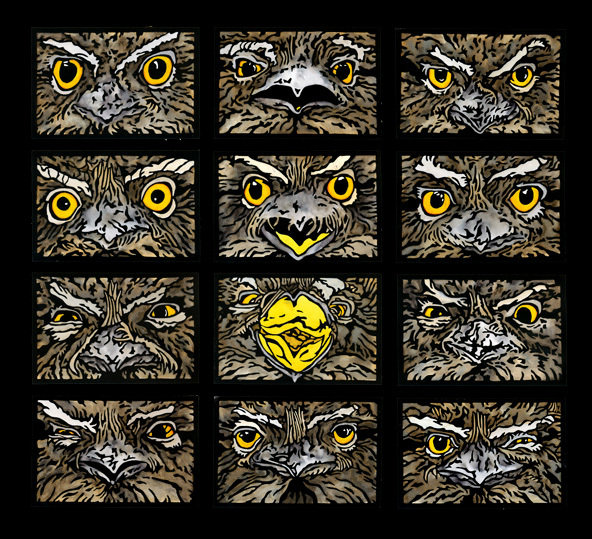 I wasn’t sure how much to hand colour at this point so have gone in this set for the full colour with glowing yellow eyes look. I was planning to have them framed using black core black mountboard with a black frame so the second image here is to give some idea of that. I will probably sit on these images for a while (yes more procrastinating!) so I am going back to carving some more work and also further working on the Barn Owl image. I did the original drawing of this barn owl about 5 years ago and it has waffled around for all that time. I have come up with a whole new way of looking at it and may even drop the orginal idea in favour of developing the new images. 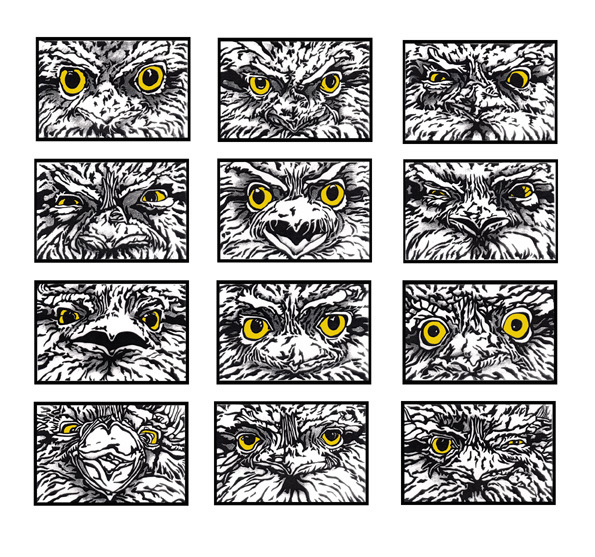 I will post the process at some stage as it can be valuable for an artist to look at their own processes in a more ordered fashion required for blogging and may provide some small insights for others. Well hopefully anway!